What Planting Zone Is Chicago? What Is the Indiana Growing Zone? What is the Fastest Growing Tree for Zone Five? Starting and maintaining an attractive and long lasting flower garden in a zone 5 climate can be challenging. States like Missouri, Pennsylvania and Iowa have varying temperatures that require special care when choosing and planting flowers. A low-growing ground cover, sweet woodruff thrives best in shaded areas as a summer plant in zone 5 regions. It produces tiny, fragrant white blossoms that resemble larger versions of baby's breath blossoms. Plant sweet woodruff in partial shade during mid-spring to produce flowers by June in colder regions. As a ground cover, the plant is most attractive when planted near walkways and ponds. 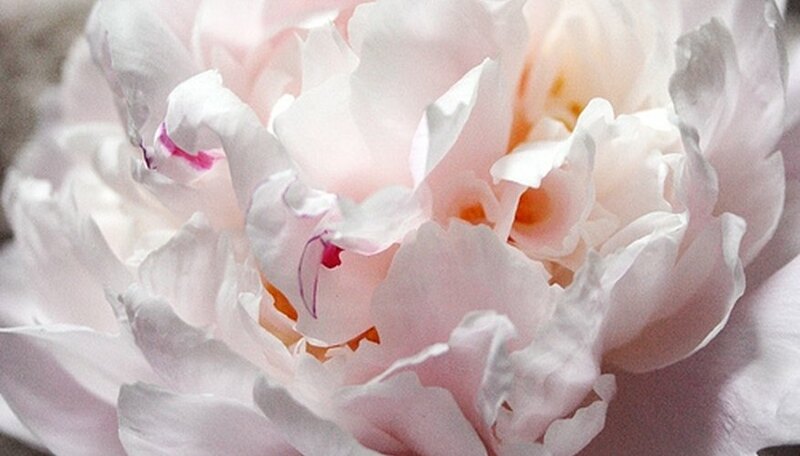 The foam flower is unusual, beautiful and easily grown in cooler climates such as zone 5 regions. It is identified by its star-shaped clusters of white flowers. It has a shallow root system, so it should be planted as a companion plant to ground covers for added protection from elements. If planted in early spring, the perennial plant will bloom every season from April through June in zone 5 areas. The English roseum is a very hardy flower that is tolerant to both hot temperatures and frost. Its versatility to climate makes it a wonderful addition to any zone 5 flower garden, and its beautiful multi-colored blooms add a splash of cheer to your landscape. Plant it in either planters or raised flower beds to assure that the soil is well drained for the health of the plant. The U.S. Department of Agriculture has divided the country into hardiness zones based on average annual minimum temperature. Illinois is located in USDA hardiness zones 4b through 6b; the city of Chicago is located in zone 5b. In the warmest parts of Illinois -- zone 6b -- the average winter low is 0 to minus 5 degrees Fahrenheit. In zone 4b, the coldest part of the state, temperatures reach as low as minus 20 to minus 25 every year. 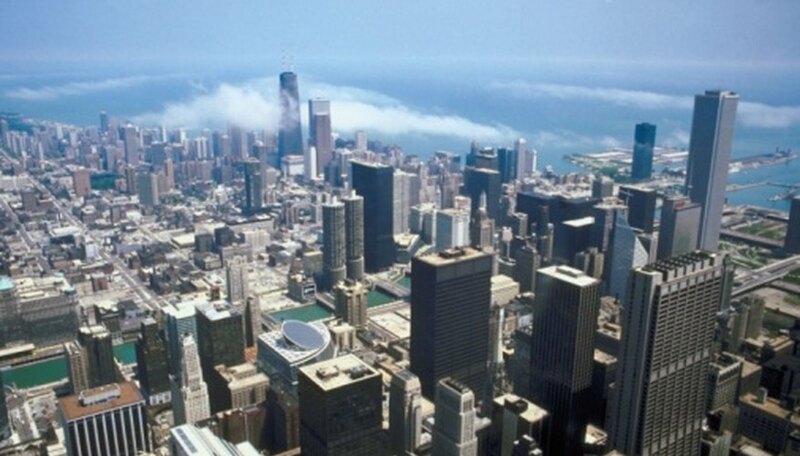 In Chicago, the average annual low temperature is minus 10 to minus 15 degrees. While knowing you hardiness zone is important when you choose plants to grow in Chicago, you should consider other factors as well. Even plants that are rated to the same zone can have widely different needs when it comes to soil type, sun exposure and moisture levels. The coldest growing zone in Indiana has temperatures that fall -20 to -15 Fahrenheit during the average winter. This zone is predominately located in the Northwestern part of the state. This zone covers the majority of the state but is mostly located around central Indiana and the Northeast section of the state. Average low temperatures for this zone are -15 to -10. Southern Indiana, south of Indianapolis, is the only section of the state to have average low temperatures reaching -10 to -5. Along the Ohio River in the Southwest corner of Indiana, average low temperatures only reach -5 to 0. Although the newest version of the map contains much detail, it does not account for stress factors such as gaseous and particulate pollution, security lighting, toxic wastes and other pollutants that decrease a plant's performance. Check with your local plant nursery or garden center to make sure plants you are selecting for your landscape are fitting for your area. Recommended for zones 4 through 9, old garden rose's leaves resist disease. Also known as heirloom or antique roses, they grow best in full sun and develop fragrant magenta flowers. This perennial rose can grow up to 5-feet high with a 3- to 4-foot spread, and should be trimmed to about half of its size after its summer blooming. Prevent leaf fungus by watering the soil without getting moisture on the leaves. You can plant old garden rose to climb over a trellis or to edge your garden. Also referred to as Echinacea purpurea, purple coneflowers grow well in zones 3 to 8. These herbaceous perennials with purplish petals and orange cone centers resemble daisies. They bloom from June through August and grow as high as 5 feet. Purple coneflowers need full sun, but they can adapt to hot, humid or dry weather. Border your garden or plant it in masses to attract birds and butterflies. Grown as a perennial in the hottest zones, impatiens plants are an annual in zone 6 and zones with colder climates. They produce red, orange, pink, white and striped blossoms, and grow in mounds about 24-inches tall. Plant them in fertile soil with good drainage in an area with partial shade. Their nectar provides an abundant food source for hummingbirds. Use impatiens in container gardens, as a border or within flower beds. 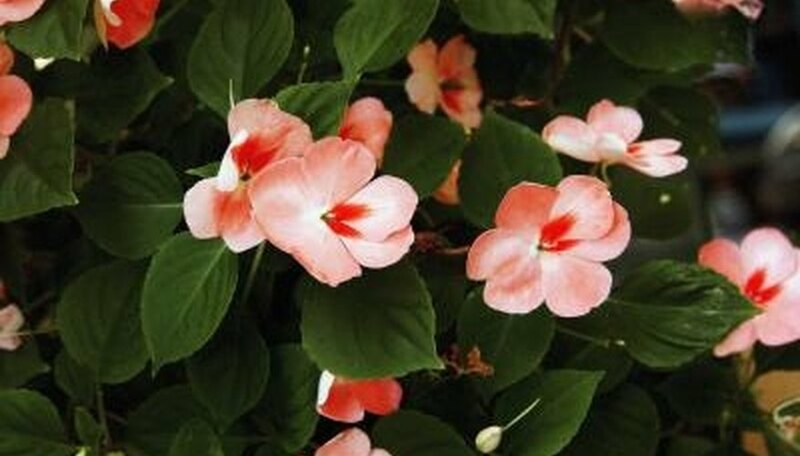 According to Iowa State University Extension, impatiens are "the most popular bedding plant in the United States." Average annual low temperatures may vary widely across a state. For example, the average annual low in the northwestern tip of Arkansas, in subzone 6a, ranges from -5 degrees to -10 degrees Fahrenheit. By contrast, the average annual low in southern Arkansas, which lies in subzone 8a, ranges from 10 to 15 degrees. Arkansas's three plant hardiness zones—6, 7 and 8—represent five subzones: 6a, 6b, 7a, 7b and 8a. No part of Arkansas is in subzone 8b. The northern region of the state, which includes cities such as Hope Springs and Fayetteville, lies in subzones 6a and 6b. The middle portion, including Little Rock, Jonesboro and West Memphis, straddles zone 7a and zone 7b. The southern region, which includes Hope and Texarkana, is in zone 8a. As noted by the University of Arkansas Cooperative Extension Service, the average high temperature, the soil type, and many other environmental conditions must be taken into consideration—along with the average annual low temperature—when attempting to determine what to plant. Remove your shrub from its nursery container and plant it in a hole slightly wider than the size of the root ball. Plant after the last expected hard frost. This date will vary, depending on your latitude. In more northern latitudes, the planting date will be later than more southern areas that are also Zone 5. Fill in the hole and water the shrub thoroughly. Keep your shrub watered throughout its first spring by checking the moisture levels and watering the shrub whenever the top 1/4 inch of soil feels dry. Mulch the shrub to prevent water loss and to protect the roots in case of an unexpected cold snap, which is any unexpected spring drop in temperature to below freezing that is long enough to freeze the soil. Cover your shrub with plastic if an unexpected hard freeze is forecast. Run an extension cord under the plastic and place a lamp with an incandescent fixture under the plastic if the freeze might be unusually cold. The daffodil (Narcissus) is most likely to naturalize, increasing each year, in a cold-winter climate. In the warm area of USDA Zone 9 use Barrett Browning, Cheerfulness, Spellbinder, Tete a Tete and Peeping Tom. New England has eight different hardiness zones according to the US Department of Agriculture hardiness zone map, from zone 3b and through zone 7a. 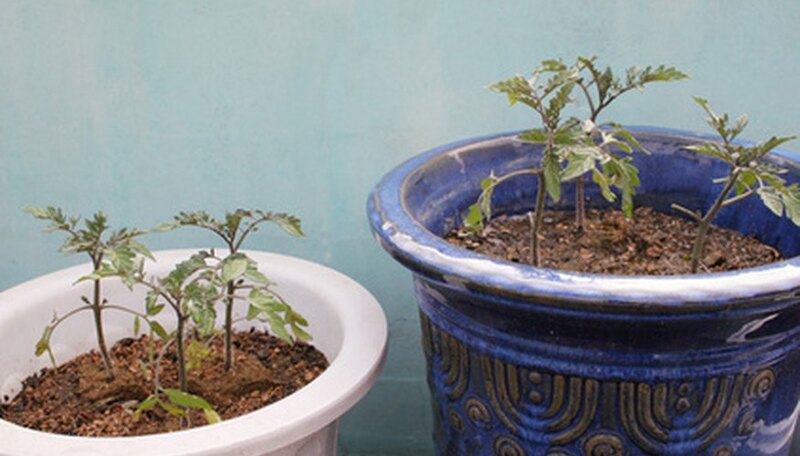 The date of when to start tomato seeds inside in New England is six to eight weeks before the date of your last possible frost, which can be anywhere from April through June, depending on which USDA hardiness zone you are in. The fastest growing tree for zone 5 is the Royal Empress tree. This tree has been known to average a growth of 10 to 18 feet per season. The Royal Empress tree is very hardy and has no known problems with disease, insects, or drought.